Whether searching for and extracting oil, designing and bringing the next luxury vehicle to market, or providing a diagnosis of a patient's condition, professionals are faced with a mountain of data that needs to be distilled into meaningful and actionable visualizations. The size and complexity of data is growing at an exponential rate. In an increasingly competitive and high-pressure landscape, professionals need to deliver results better, faster, and more cost effectively than ever before. 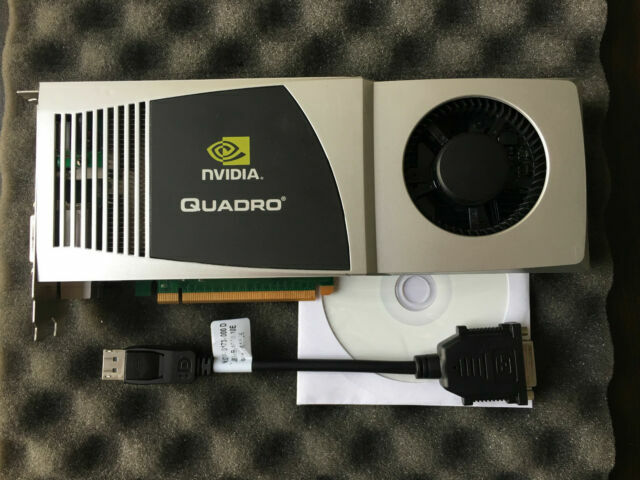 Traditional processing paradigms just cannot keep up.With advances in the GPU architecture, the NVIDIA Quadro FX 5800 by PNY gives geophysicists, designers, scientists, engineers, and other technical professionals visual supercomputing from their desktops. Professional applications take advantage of the Quadro FX 5800 advanced feature set.The NVIDIA Quadro FX 5800 by PNY is the ultra high-end solution in PNY's Quadro FX product family and incorporates NVIDIA's second generation unified architecture to deliver up to a 50% performance improvement over the first generation through 240 processor cores.